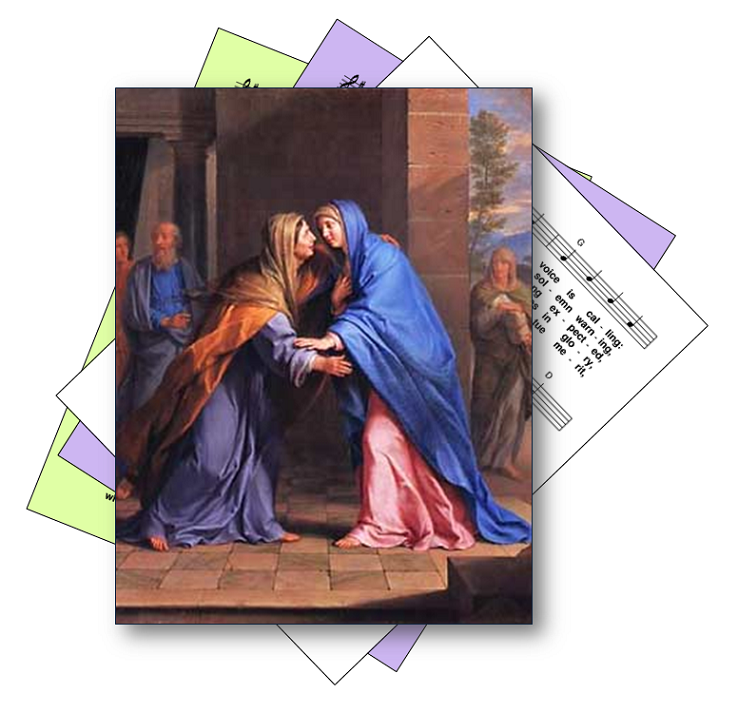 A selection of hymns and songs for the feast of the Visitation of the Blessed Virgin Mary, which is observed on 31 May. Most of the hymns are all free-to-use (ie public domain or copyright-free), meaning the words can be copied and sung to at least one tune with no concerns about copyright or performance licensing. Many such hymns are old/traditional - but where possible a variety of styles / genres are included. A selection of copyright hymns many be included, if they are particularly relevant or the feast day. This feast day remember's Mary's visit to Elizabeth, while both were pregnant. It is significant because Elizabeth recognises Mary as the mother of God, and mediates between God and humankind for the first time. 1st Zephaniah 3:14-18 - The prophet exhorts Zion / Israel / Jerusalem to rejoice and exult in God's love and care. Gospel: Luke 1:39-56 Mary visits Elizabeth, who recognises the child that Mary is carrying " “Blessed are you among women, and blessed is the fruit of your womb". Mary in reply prays the Magnificat. Other suggestions are welcome: leave a message in the box below labelled "Comments".